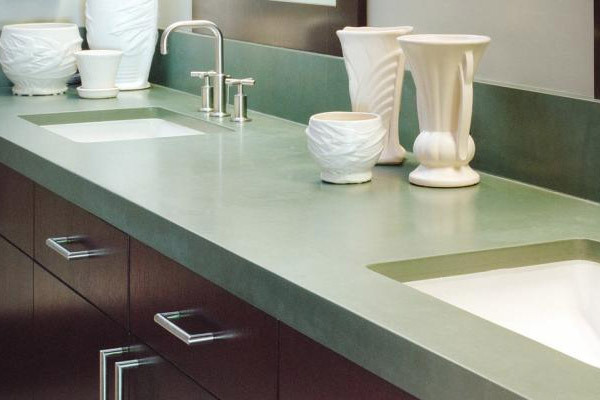 How to get stain-free honed limestone surface with smart tips? These days, polished or honed limestone is regarded as a prominent construction material and has been known to be used for the same purpose since ages. Numerous prominent structures across the globe are partially or wholly made out of limestone. The Great Pyramid of Giza, Megalithic Temples of Malta and Lincoln Memorial are to name a few such edifices, among others. Though limestone is extracted in different parts of the world, India has large deposits of limestone in the states of Rajasthan and Andhra Pradesh. A number of limestone manufacturers and suppliers in India can be contacted for purchasing high-quality honed limestone in different shades. Moreover, various leading limestone exporters from India supplies limestone in different parts of the world. So whatever may be your location, in case you need Indian limestone of international quality for your residential or commercial projects, you can contact any reputed Indian limestone exporter like Regatta Universal Exports, which is globally known for its great product quality, dedicated customer service and safe and timely delivery. Limestone is used for a variety of applications in the construction section, such as exterior and interior wall cladding, paving, flooring and coping. Various properties of limestone, such as porosity, density and texture are considered while choosing a particular variety for a specific application. Once you have bought and installed a limestone product, it is always necessary to maintain and clean it on a regular basis, especially if used for flooring and paving, as these installations observe heavy footfalls throughout the day. As part of honed limestone cleaning, stain removal is an important exercise as this keeps your limestone surface look good and tidy all the time. Stains on limestone can be taxing as it is highly porous. Hence, a little precaution should be taken while removing stains from the limestone, so as to prevent any damage to the same. Using a Vacuum Cleaner: A vacuum cleaner can be used to clean the limestone surface. It is recommended to keep the spinning brush off, if possible. In case you don’t have an option to turn off the spinning brush, quickly remove grime and debris with vacuum from the surface that have settled in between the cracks. Note: For tables and other surfaces that are not flooring, a handheld vacuum cleaner is a good option. A vacuum cleaner with an attached hose works great for elevated surfaces like kitchen countertops. Using a Broom or Dry Mop: After dust and grime removal, dry mop the area. A broom can also be used for this purpose. 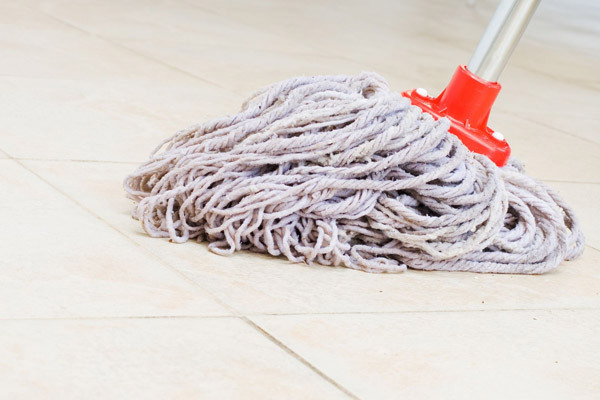 There are a few mops available in the market that are meant for cleaning limestone surface, hence using such mops can help you to efficiently perform the job. Damping the Surface: All dirt particles should be removed from the surface prior to making it wet. This would prevent any damage to the limestone. Make a solution of lukewarm water and around 14 ml of mild soap (hand or dish soap) in a bucket. Wet a rag by putting it into the solution and wring out extra water. Gently wipe the stained area with the rag. Repeat the process as many times as required and keep soaking the rag into the solution time to time. Moisten the poultice with distilled water. Apply the moist poultice on the stained surface. Allow it to rest for 48 hours until it gets dry and get absorbed into the limestone. After 48 hours, rinse the stained area, where poultice was applied. The stain is expected to get disappeared. Immediately cleaning the spills: Gently scrub off stains with a wet, soft cloth. If it is dirt, use a soft brush. A few stains can be removed using a bristled brush. If all these fail, go for rigorous cleaning techniques. 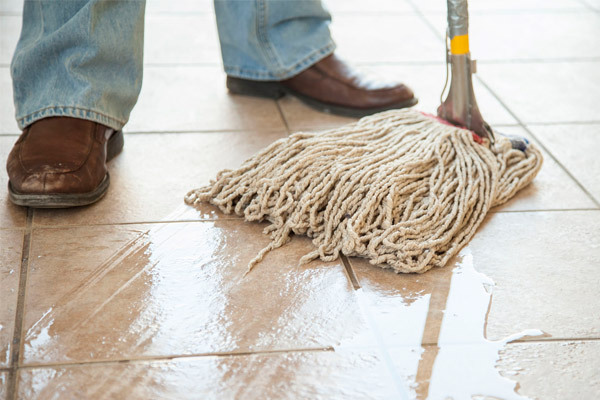 Regular Cleaning: After every two weeks, dry mopping the limestone floor is recommended. If it a top, use a dust-absorbing fabric to clean it. A dry dust mop can also be used to clean tables and tops. For a more efficient cleaning, you may opt for a variety of cleaning products available in the market. Using Runners and Doormats: Use runners, rugs and door mats in areas where heavy footfall occurs. Since most stains are caused by dirt and mud carried by footwear, it is suggested to cover spaces near hallways and doorways. Outdoor mats should also be kept to allow people to wipe off dirt from the feet before entering the house. Using Pads and Coasters: Limestone tops and tables should be used with coasters as limestone is prone to watermarks and ring stains. Hot pans, plates and other utensils can also damage the limestone top, hence using protective mats and hot cooking supplies is recommended. Being a little precautionary in the maintenance of limestone products can help you keep them good looking and tidy without causing them any damage. Moreover, regular cleaning significantly contributes in extending the life of the limestone installations.